In the dead of winter, you’re probably much less likely to throw open the door of your storage unit and carefully place and arrange whatever you’ll be storing. Chances are even slimmer that you’ll feel like doing a total overhaul of your unit, cleaning it from top to bottom and organizing your items in a way that makes them easy to access. So now that warmer weather is upon us, it’s probably a good idea to think about returning to the chaos of an unkempt personal storage space and tackling the mess head-on. Here, Affordable Family Storage shares tips for cleaning and organizing your personal storage unit. When you open up your storage unit after having not visited it for a long time, you may be surprised. For many, a personal storage space is just like an extra closet where things are thrown haphazardly inside to put them out of sight. 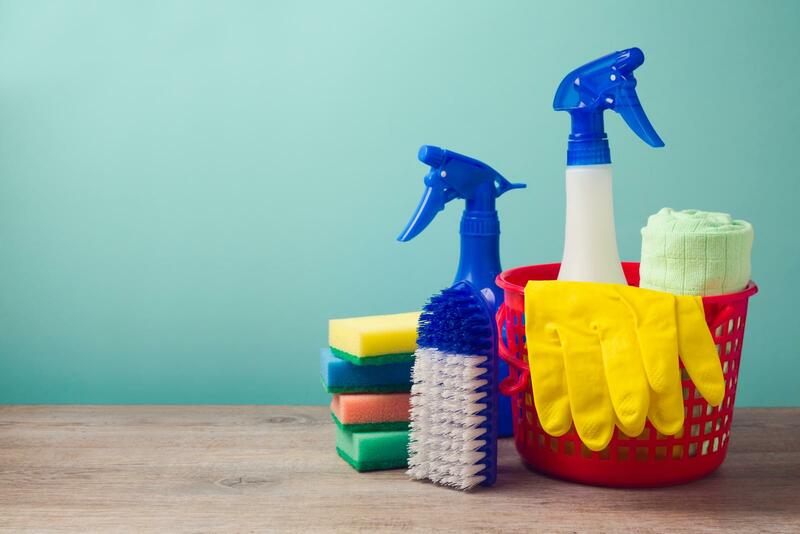 In order to give your space a proper spring cleaning, begin moving all the items in your unit. You can consolidate them all to a corner or pull them out of the unit completely to give you room to clean. Even if you did your best to wipe everything down before moving your things into personal storage, chances are that your stuff has accumulated a bit of dust. If you have shelves in your unit, clean the top ones first. You may also want to wipe down the walls and anywhere that cobwebs or critters may have taken up residence. Once you’ve given everything up high a good once-over, you can sweep up any remaining dust bunnies on the floor. Depending on how you’ve chosen to store your items, you may want to check over them. Plastic tubs do a great job of keeping your things in good condition, but cardboard boxes, a popular storage solution, tend to break down and collect dust. Before you begin rearranging and re-organizing, check in on your things. If you took the steps to prepare them for storage, they’re probably in the same condition as they were, but some people will find that their storage solutions weren’t as airtight as they’d hoped. And, who knows, you may find that photograph you’ve been wondering about. If you’re in the Council Bluffs area and you need reliable personal storage, Affordable Family Storage is your go-to. We offer climate-controlled units in an indoor facility with 24-hr access. And when you’ve finally mustered the courage to tackle spring cleaning for your storage unit, don’t forget that we offer packing supplies, like boxes and packing tape, on-site!